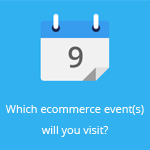 June 10, 2015 by Ecommerce News. About Marketplaces with tags Europe. 32259 views. 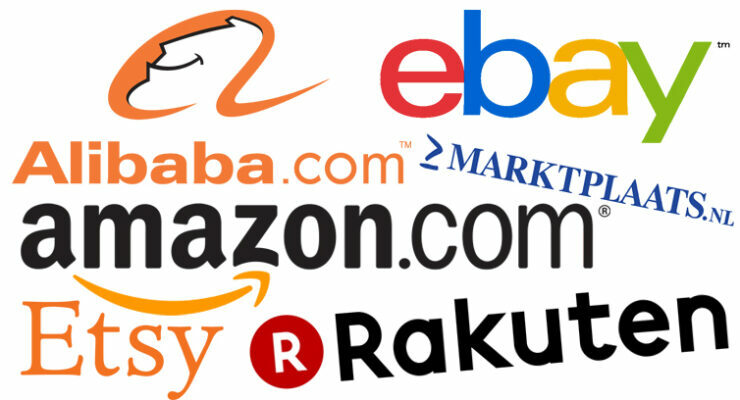 Global marketplaces such as Amazon, eBay and Alibaba will own almost 40% of the global online retail market within five years. At least, that’s what retailers from all over the world expect to happen. A new study gives more insights in the rise of global marketplace and how retailers can compete with them. The study, called “Rise of the Global Marketplaces”, was conducted by the Ecommerce Foundation and Nyenrode Business University. They interviewed 243 retailers and 43 retail consultants from all over the world about marketplaces such as Amazon, eBay and Alibaba. Although you might have guessed otherwise, retailers have a very positive outlook regarding their own future. Despite the expected share of 39% in the global retail markets by marketplaces, online retailers believe their own company will grow as well. 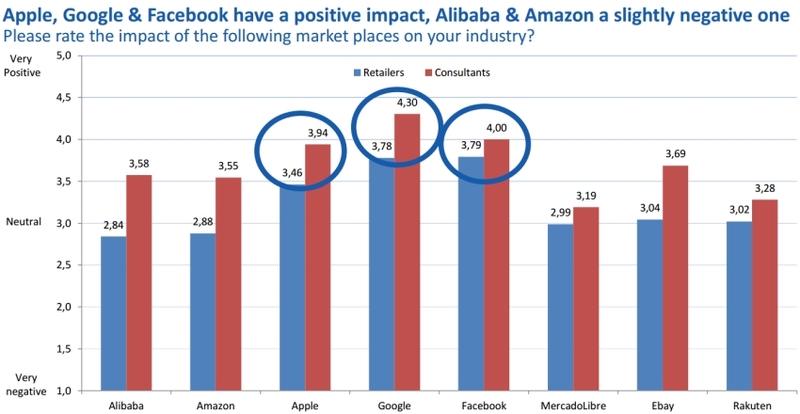 This optimism comes from retailers considering the impact of marketplaces to be neutral or even positive and the fact they believe they can outperform said marketplaces. Although global marketplaces are indeed growing and taking more and more market share, retailers think they can outperform these players in almost every aspect, but especially in the customer-oriented process, such as customer experience and service. 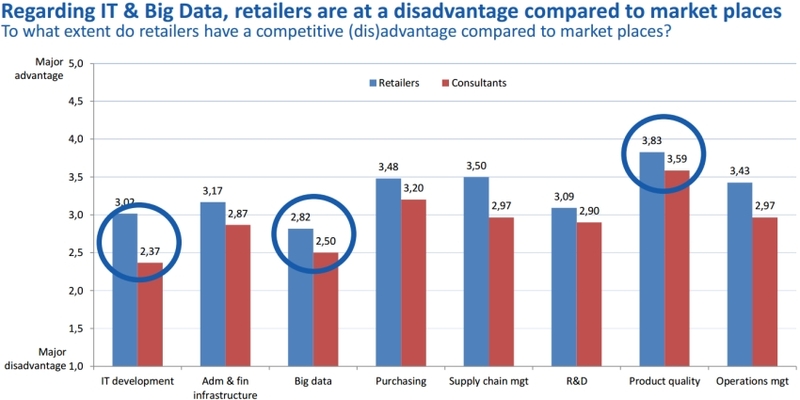 With regard to IT and big data, retailers think they have less chance against marketplaces. So, what to do about these enormous marketplaces who seem to get only bigger and bigger? 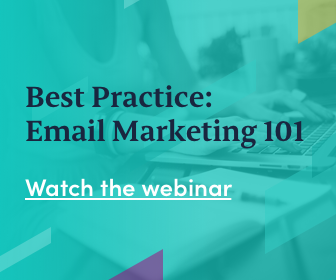 If you ask retailers this question, they answer by saying they should focus on specific customer segments, improving their customer services, and focus on specific markets and/or products. Reducing prices or investing in online stores is not seen as a viable option. Another way to keep on surviving as a retailer is by cooperating with marketplaces and selling products through them. Complete ignoring market players or simply exiting the market due to the competition isn’t something most retailers would suggest. Retail consultants were also interviewed. They said a lack of general leadership is probably the largest problem for retailers. Also, retailers don’t see the urgency of marketplaces and they lack a clear vision on how the market will develop, consultants say. The compilers of the study also interviewed around 30 CEOs around the globe. When bundling all these answers and notes, there are three main advices online retailers should follow when it comes to dealing with marketplaces. For starters, retailers and brands should definitely use marketplaces to increase their domestic and international sales and learn from them. “Not only from their success, but also from their mistakes”. Second of all, retailers should move towards a vertical and/or specialist retailer model. ” The existing retail model where retailers have a large role in the supply chain is no longer valid.” And finally, companies should build a brand with a heart. “Pure players are typically smart brain companies. Retailers can also offer a heart. They will have to start, however, internally by building an emotional relationship with their employees and other stakeholders before they can build up a real relationship with their customers”, says the executive chairman of the Australian ecommerce association NORA.